The Careers & Student Employability (CaSE) team are running an exciting scheme which will give you a chance to boost your CV while earning money by taking on a part-time internship alongside your studies. 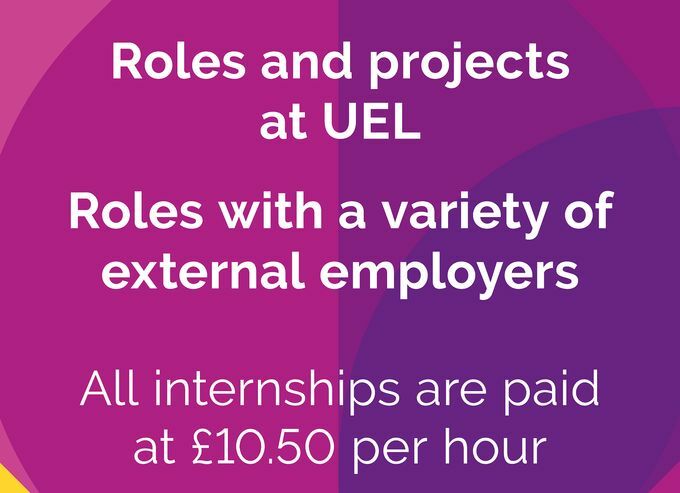 If you do not meet the above criteria, please contact the Employer Engagement Team for further advice on alternative internship opportunities by sending an email to searchforwork@uel.ac.uk. To sign up for an information session, please click here.